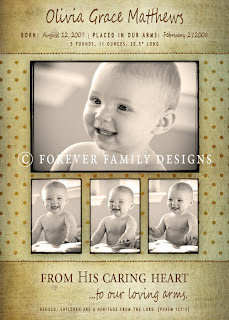 Here are some samples of another line of announcements we’ll offer on our Forever Family website coming soon! They’re flat 5x7s with rich colors, multi-dimensional layers, and lots of texture. 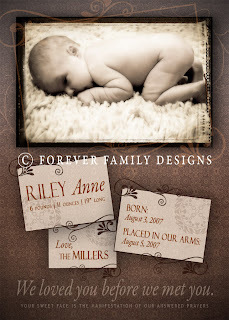 Not your average birth announcement! These are really beautiful and sweet. I love, love, love what you’re doing here! This is such a creative and special way to touch peoples lives.